Confessions of an ADD English Teacher: Cook Along Week 2...Roux and Mornay Sauce! This week, we're making macaroni and cheese from scratch. It is super fast and demonstrates several basic cooking techniques. It sounds difficult because it's in french and french cooking just intimidates people. The first thing we're going to do is make a roux. A roux is a mixture of flour and fat that is used to thicken. It's the basis for many sauces and gravies. 1. 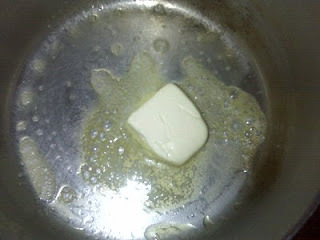 In a saucepan over medium heat 1 T butter. Meanwhile, get another pan going with some elbow macaroni. However much you want to make. Doesn't matter. Be sure to salt the water! 2. 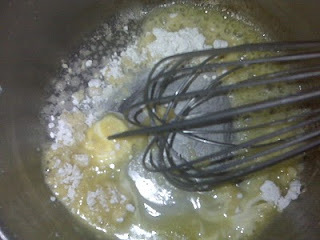 Whisk in 1 T flour and let it get thick and pasty. And your roux is done! Now for the fun part...turning that thickened fat and flour into something delicious! 3. 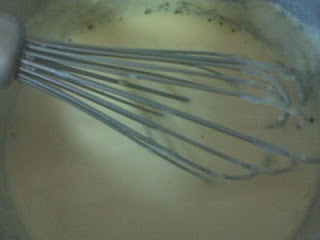 Slowly whisk in warm dairy...half and half/heavy cream/milk. I've found skim milk doesn't work as well because of the absence of fat. Fat in cooking is a good thing. I used half and half. 4. Continue whisking and slowly adding milk. It will thicken up. Add a bit of salt and pepper. At this point, you now have a bechamel suace! That was EASY, wasn't it? And you've just finished one of the basic French sauces. 5. Now, we're going to transform this bechamel into a Mornay sauce by adding cheese. Cheese is also a very good thing. For this recipe, I added about a cup of Sharp Cheddar. 6. 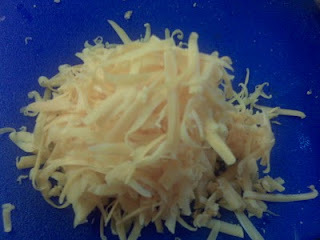 Whisk in the cheese until it's all melted. At this point, you need to taste the sauce and decide if you like it or need to add something more. Sometimes you may want something cheesier, or you just feel like it's missing something. I like to add a squirt of dijon mustard to my mac n cheese. 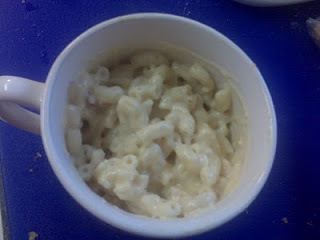 But on this particular day, I took inspiration from a Bacon Horseradish Mac n Cheese, so I tossed in those flavors. About this time, your noodles should be done, too! Drain them and pour your delicious cheese sauce over the noodles. I made extra noodles and sauce. I popped it in a freezer container and it will be ready for a quick lunch whenever I need it. If you plan to make this and freeze it, under cook the noodles. This way, when you reheat, the noodles finish cooking and you aren't left with soggy noodles. Let's see what you made with your roux and mornay sauce! 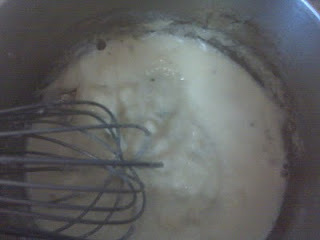 I make roux with vegetable oil, flour and lactose free milk. It works fine for white sauce for creamed spinach.